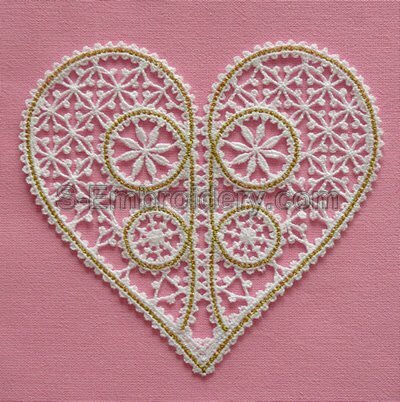 A fine delicate free standing Battenberg lace heart machine embroidery design. 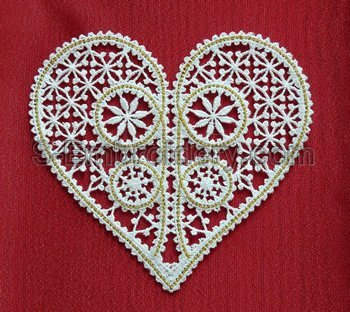 The lace heart can be used for your Valentine project (e.g. 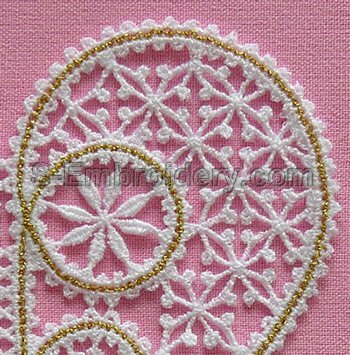 as an freestanding lace ornament for decorating your custom hand made Valentine cards) or would make a fine decoration for a wedding ring bearer's pillow.